Tata Steel in the U.K. announced the sale of its operation in Talbot, Wales, on March 30, 2016. According to some sections of the British media, the imminent closure of the Tata Steel subsidiary has been triggered by an oversupply of cheap Chinese imports into the steel industry. The decision by the Indian conglomerate has left the British authorities scuttling for solutions in a bid to save the steel industry, which employs more than 15,000 workers. The demise of Tata Steel is reported to have been occasioned by high overhead costs and fierce Chinese competition. According to Independent Online, the U.K. which embraces the free trade approach, imported over 800,000 tons of steel from China in 2015. This is more than double its previous import quota in 2014. The opposition Labor party has latched on these numbers and blamed Prime Minister David Cameron for not speaking against China trade practices. It is reported that the Conservative government has closer trade ties with China. The BBC News reports that most government ministers have voted against European Union’s anti-dumping levies aimed at halting China’s oversupply of cheap imports into the European markets. Labor leader Jeremy Corbyn was also quoted as saying the Chinese government’s behavior is “not right, not fair, not proper.” He also stated that Cameron’s government has failed to reprimand the Asian country to operate within the “rules of the World Trade Organization.” The steel industry in Britain is hugely affected by high energy costs and green taxes. This, in turn, has led to “expensive” steel products from Britain which China has taken advantage of. The Chinese imports have thus flooded the market and out-priced steel products from the U.K.
Tata Steel’s announcement has piled up pressure on the government of the U.K. This has triggered a series of crisis talks on how to salvage the steel industry. It is reported that the Cameron-led government will try all intervention strategies to save “thousands of steel jobs.” Sajid Javid, Britain’s business minister told reporters at a press conference that the government will assess ways to “provide commercial support” which also includes seeking investors who are willing to buy-out Tata Steel assets. The Indian conglomerate directly employs over 15,000 workers in all its plants in Port Talbot, Corby, Rotherham, and Shotton. 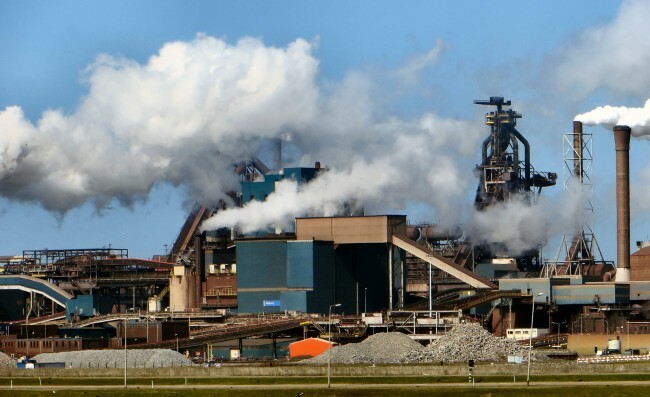 Some analysts believe that the impending closure by Tata Steel due to skyrocketing overhead costs and Chinese imports may also affect the European Union (EU) vote in Britain. Britons go to the polls on June 23, 2016, to decide in a referendum whether their country should remain in the EU. A collapsed steel industry and concerns over the economy might sway Britons to vote Britain out of the E.U. One despondent steelworker in Port Talbot told Independent Online, “If this [plant] shuts, there is nowhere else to go.” Trade unions have also called upon the government to take a “public stake” in Tata so as to save many people from losing their jobs. BBC News: Tata Steel Jobs: David Cameron Says There Are “No Guarantees” On Steel Crisis. Express.co.uk: Who Owns Tata Steel? Why Are British Steelworks For Sale? Independent Online: Jobs at Risk as Tata Seeks British Exit.